Like many ordinary women in Uganda, Nakato knew that women and their newborns in need of specialised services would check into the Mulago Specialised Maternal and Neonatal Hospital for medical attention. She also knew that women and children with high-risk antenatal care, delivery and postnatal services and gynecology services, surgical, ureteric reimplantation, complex fistula surgeries and vaginal hysterectomies reconstruction after female genital mutilation would now be treated here. But, just a few days after the handover, government announced that the facility is only expected to handle referral cases from other hospitals and that the patients are expected to pay for the services. According to Dr Jane Aceng, the minister of health–patients seeking treatment at the new Mulago Specialized Women and Neonatal Hospital will part with Shs50,000 as doctor’s consultation fees while those seeking in-vitro fertilization (IVF) will pay Shs13 million. On September 11, the health minister defended the new charges saying government had made thorough consultations on the charges after visiting other countries offering similar services. “The services will be classified as standard, VIP and VVIP; Clinical services offered to all patients at all levels irrespective of pay will be the same,” Dr Aceng said while addressing the media. She revealed further that examination under anaesthesia will cost Shs800,000, Fistula reconstruction is Shs 2.500,000, a Caesarian section will go for Shs 2,000,000, Epidural and spinal analgesia will cost Shs 1.600,000 while Sperm injection will cost Shs 14,000,000, DNA testing will cost shs500,000 and Antenatal cost Shs 890,000. “Uganda largely operates as a cash economy. We expect foreigners to pay. We can no longer depend on the government budget to provide services. The doctors at the hospital will also want payment. If you need high-quality services. You must pay,” she said. Ms Nakato’s relief has now turned into despair because she can not afford the consultation fee to talk to a doctor about her situation. “In the village, I use Shs1000 to treat myself and I find it expensive, so how will I pay for Shs 50,000 to just talk to a doctor without treatment, God should just have mercy on us rural women,” said Ms Nakato. Ms Nakato is not alone; people across the country now think government is interested in saving the rich from diseases and leaving the poor to fate. Mr Nathan Nandala Mafabi, the FDC Secretary-General says the costs are too high for an ordinary woman in the village and that many of them will just die in rural areas because they can’t afford these costs. He said no one chooses to get sick but that once we do, we should all be treated equally in the eyes of the Constitution and that we all deserve medical care to the highest possible standards. Several legislators have protested the application of medical fees on the services saying that the government facility will not benefit majority of the women who can not afford the cost and are living in rural areas. Policy makers are calling upon government to balance between dimensions while maximising the magnitude to which people’s needs are met without impoverishing them. Mr Emma Ainebyoona, the ministry f health senior Public Relations officer says there should be no reason for alarm because the poor will also receive services at the new facility as long as they have to go through the referral system. He revealed that although the facility is expected to reduce maternal mortalities which the ministry confessed remains high at 336/100,000 compared to the global rate of 216/100,000 live births, the situation in rural areas among the poor might remain the same. He added that the new hospital will have services classified as standard, VIP and VVIP and that the difference in the costs will be on accommodation. 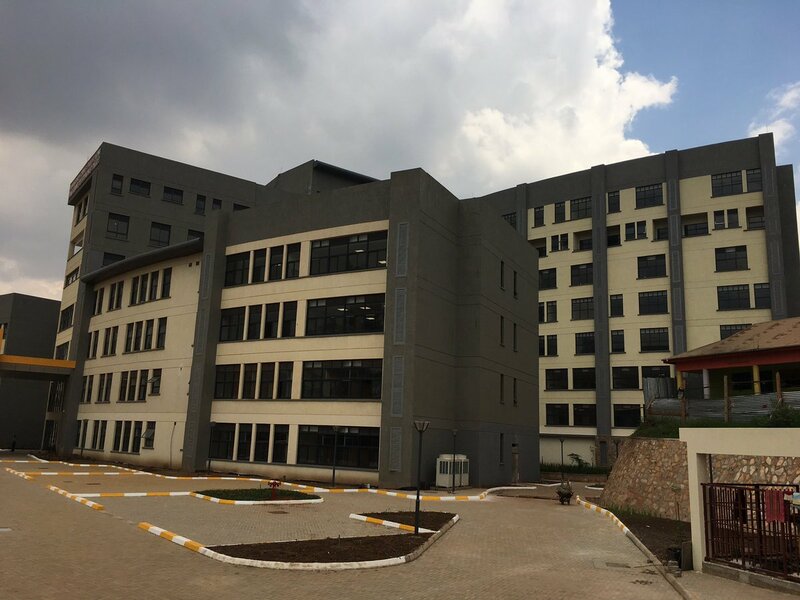 The new Mulago specialized Women and Neonatal hospital was funded using a $25m loan from the Islamic Development Bank and is designed to accommodate 450 patients with one attendant each. The hospital is all piped to enable medical gases, nitrous oxide and oxygen to be pumped directly to patients on their beds without using an oxygen cylinder. There is also a laboratory where urinal tests and cancer screenings can be conducted. The facility is expected to reduce maternal mortalities which the ministry confessed remains high at 336/100,000 compared to the global rate of 216/100,000 live births.